Perpetual Eucharistic Adoration began at St. Raphael on June 1, 1997. The chapel in the parish convent was renovated to improve security and facilitate access to the chapel for this purpose. Since then, committed adorers have been continually present in the chapel with the Blessed Sacrament - 24 hours a day / 7 days a week. On June 25, 2107, the parish dedicated the newly built Eucharistic Adoration Chapel located in the southwest corner of the Church building and offices. Time spent with Jesus in the Blessed Sacrament pleases Him very much. Come pray with us and enjoy the peace that comes from being in the Lord's Presence. 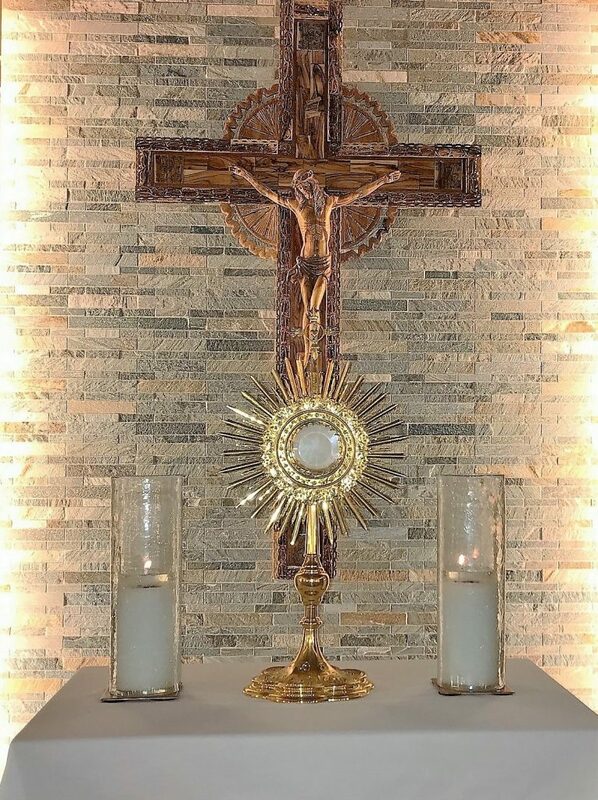 St. Raphael Parishioners are encouraged to consider making Adoration of the Blessed Sacrament a part of their lives. Contact Betty Krueter at 763-537-1399.